Genius is both a blessing and a curse. 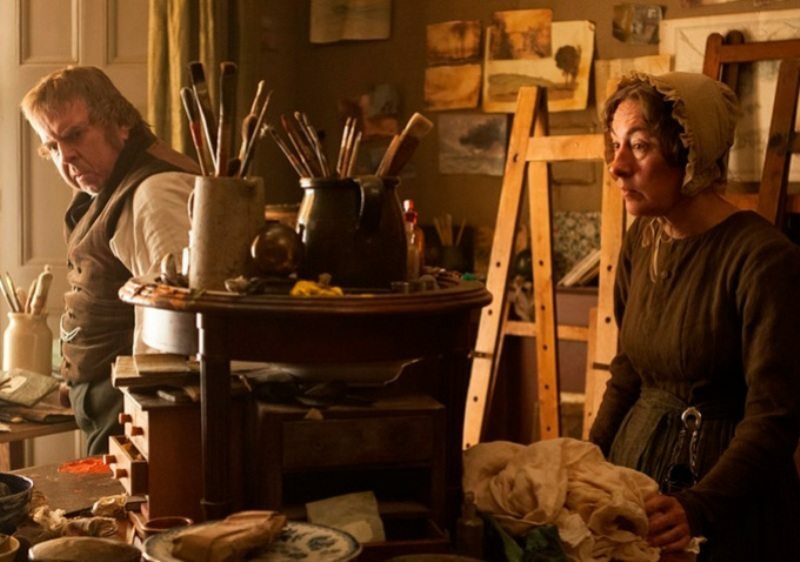 In the case of Mr. Turner a thought-provoking British movie from Director Mike Leigh documenting the final chapter of the great early nineteenth century British artist, his life and lust for light, it is both. It is a somewhat lengthy expose of an ageing man, one whose life was spent in capturing landscape as a portrait. It is finely drawn and brilliantly performed, an acting and directing tour de force. 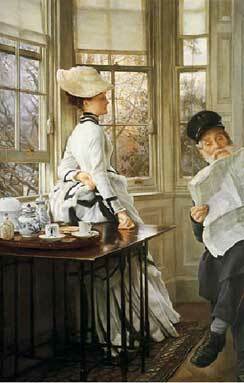 Achingly rendered scenes of intimacy are very confrontational. The complexity of this man and his raw, rough, rude, crude, gruff, grunting shambolic personality, as portrayed so brilliantly by Spall and Leigh, is a portrait of a truly tormented soul. 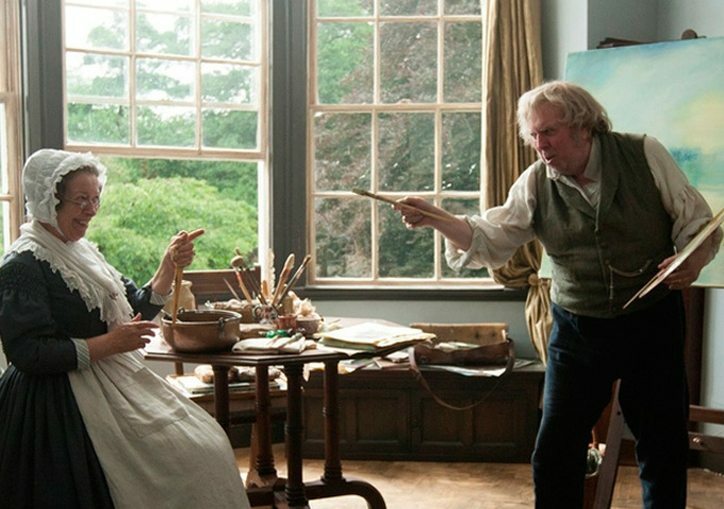 Without doubt the extraordinary thing to observe throughout is Mr. Spall’s remarkable ability to paint authentically. In the case of Mr. Turner this cannot be just a faked or understated because this is the integral aspect of any movie about his life. It is a major factor and Spall achieves it brilliantly because as we discover, first of all he has ability having studied art and dabbled in it for over 40 years. 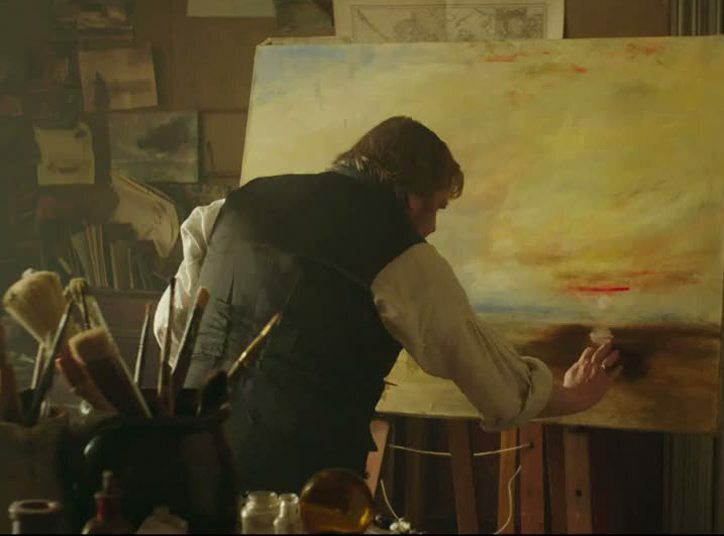 To prepare for this role he researched for two years, learning to paint like Turner so he could more convincingly play the part. And he succeeds in spades. 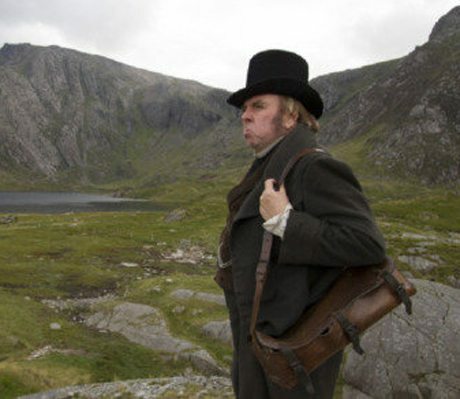 Spall becomes Turner. Visually the movie is a work of aesthetic refinement well contrived. Beauty to the eye is delivered via painterly scenes Turner lovers will certainly relate to. Those meeting Mr. Turner and his works for the first time, will be no doubt be impressed. The first scene of a windmill in Holland is captured like a great portrait of fine art. The soft radiance of the colours light up the dawn sky as we encounter first of all two milkmaids chatting happily in the dawning light. 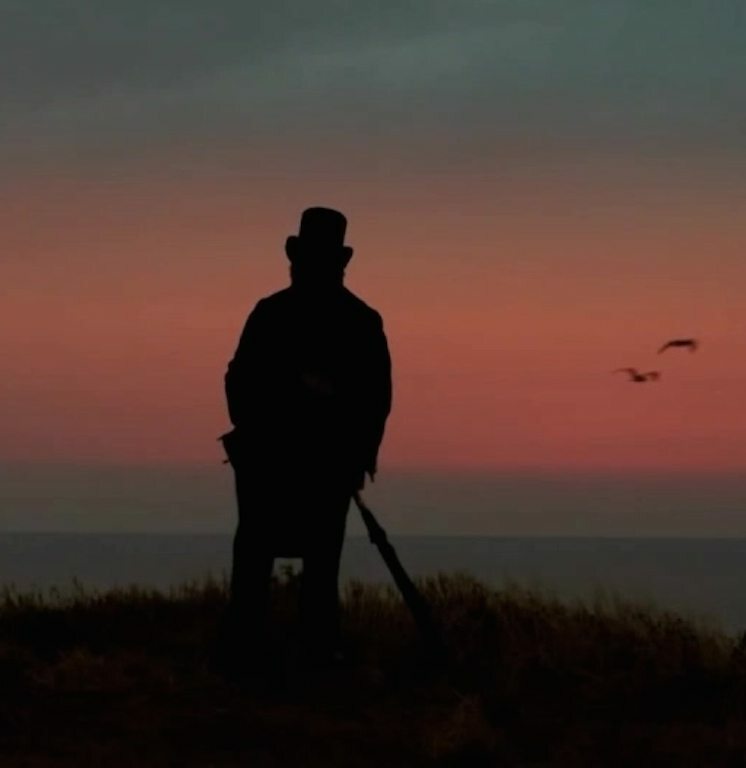 Then we come upon Mr. Turner standing in silhouette on the hillside overlooking and observing the scene taking place against a passion pink and glowing golden sky. He is endeavouring to capture nature in all its magnificence. It is truly breathtaking, contrasting the ugliness of humanity as opposed to the unbelievable beauty of nature at its most glorious. 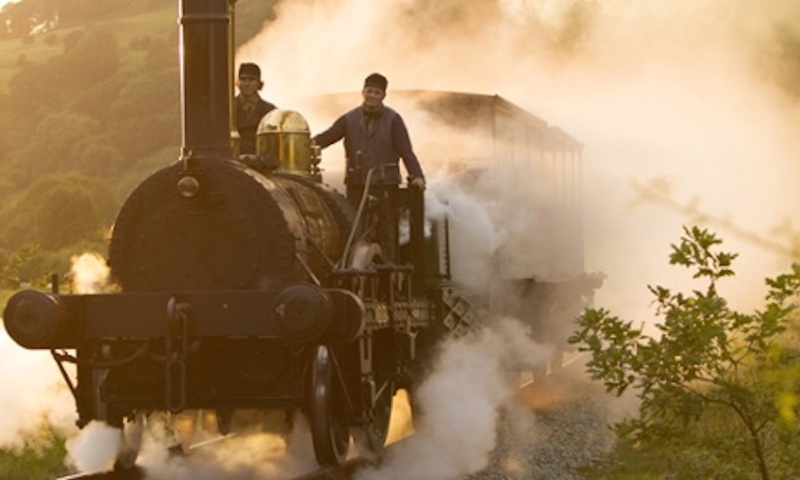 Another wonderful scene sees billowing white smoke drifting up and across a picturesque English valley as the Ixion steam locomotive of the The Great Western Railway suddenly emerges and passes by, indelibly etching the scene in Mr. Turner’s memory. 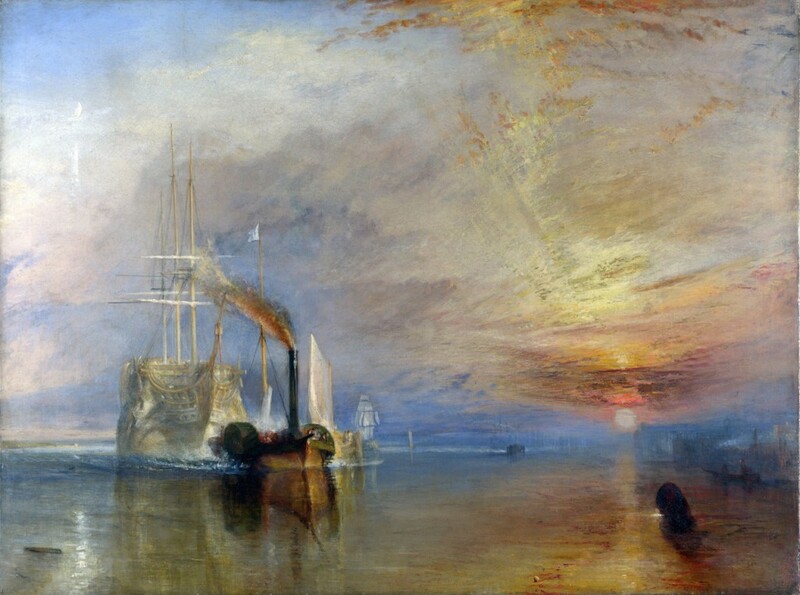 Yet another is where Turner and his friends are punting on the River Thames, when suddenly a small steam-tug towing the mighty gun-ship Temeraire to dock to be broken up appears. This landmark historical event became the subject of one of his greatest works, revealing not only the sense of loss of the ship that played such a pivotal role in Nelson’s victory at the Battle of Trafalgar in 1805, but also perhaps the passing of a great age of British marine heroes. The scenes of moonlight or sunlight skimming across Margate water makes the audience want to reach for their sketchbooks as they become infected with Mr Turner’s desire to draw constantly. 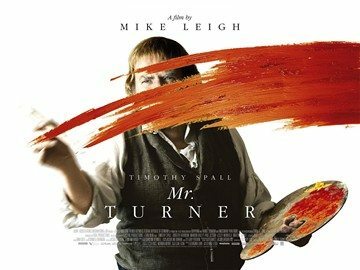 Turner’s relentless and passionate pursuit of creativity is so all encompassing most times he doesn’t even pause to eat or bathe and an ageing Mr. Turner in contrast to his handsome portraits as a young man, is certainly no oil painting as Mike Leigh imagines him. To say J.M.W. Turner is a plain grumpy gruff man is not overstating the case, that I am sure would have been attested to by both his city dwelling housekeeper and the lady he roomed with from Margate, who he ends his life with, Mrs Booth. Some of the scenes with the ladies in his life are awkward and painful to watch. They are both rude and crude, while yet others are uplifting although deeply sad. Did you miss me, his housekeeper in the city Hannah Danvy says in the first few moments after he arrives home from one of many trips abroad. Silently and roughly he first grabs her breast and then her crotch. There is nothing more to say. Her brilliant portrayal by Dorothy Atkinson is indeed affecting, especially when in her bent and withered old age she goes to an address she finds on an envelope left in his coat pocket. There she discovers he has been living a secret ‘married’ life with Sophia Booth, played with great empathy and courage by Marion Bailey. Hannah is devastated, her encounters or favours delivered by Turner over all the years she has remained loyal and in love with him, have only ever been selfishly achieved, often backwards, brutally and of moment. As a powerhouse artist of sketching, innovating and printmaking Mr. Turner reveled in the process of putting what he could see onto a canvas with paint in a way that enraptured his modern audience. The curse is that it was an obsession. 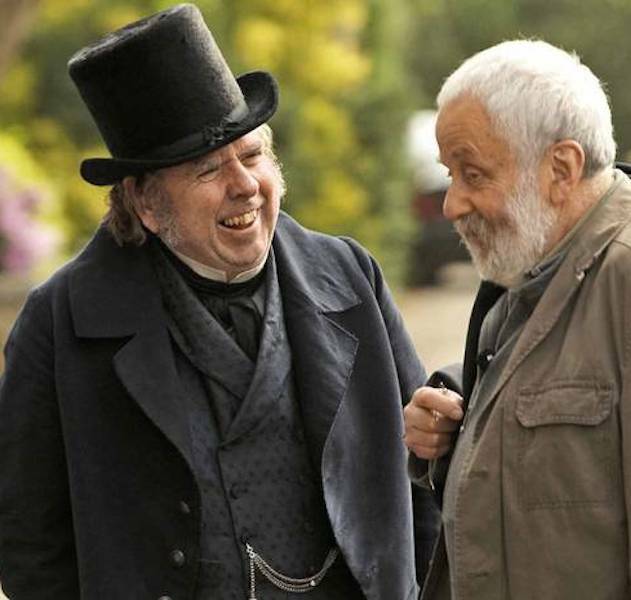 Leigh and English actor Timothy Spall present Turner as an ordinary man, one involved in relentless travel traversing the length and breadth of Britain. His encounters with the quarrelling disappointed artist Benjamin Robert Haydon (1786-1846) who wanted to be the greatest historical painter in England, so convincingly portrayed by Martin Savage, reveals yet another side to Turner and his nature. Turner lent Haydon money to see him through difficult times, but in the end erases the debt although Haydon is not grateful for the fact, and berates him. Although not thanked for it, he gave him empathy. Perhaps in Haydon Turner could see he was much like himself, although Haydon’s financial incompetence weighed him down while Turner’s ability to sell his paintings, enabled by his father’s help, ensured that he was comfortable to the end of his life. There have been a great many painters in the world and in my lifetime I have seen countless masterpieces although apart from the works of Rembrandt, particularly the Jewish Bride, none speak so eloquently to both my heart and soul as much as the works of Mr. Turner. Somehow there is an inexplicable depth of sorrow that draw you forward endeavouring to comprehend what it is you are not seeing and what it was he was trying so hard to capture with such clarity, and in the moment. It is all about his exploration of the depth of his humanity, which outlasts history in every sense. So many scenes are radiant with the light of the landscape he so loved so well and wanted to encapsulate forever on canvas. These grew from the early days when he truly captured form so well, evolving ever forward. Near the end however, he was only creating mysterious magical impressions in a technique that would later infuse and embolden the French impressionists like Monet with such energy and innovation. 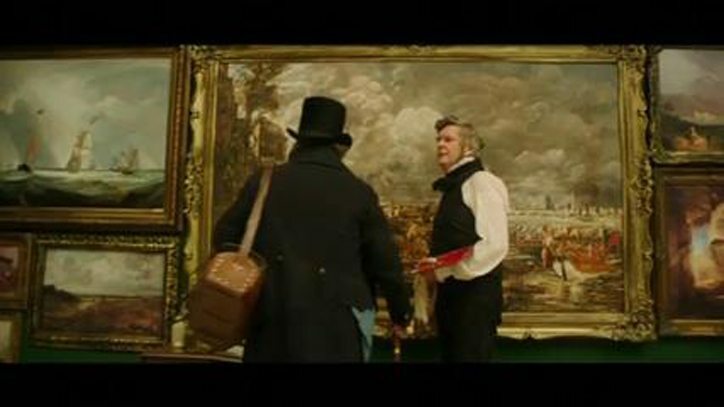 Turner’s addiction to drawing is particularly evident in this movie. He doesn’t go anywhere without his sketchbook and when he loses it you know the end is nigh. His need to draw starts the moment he steps out of bed and doesn’t stop until he lays his head back on the pillows once more to sleep but never to rest. The colour palette of the film is quite more than exquisite, its painterly scenes contrast so mesmerisingly against the sharpness of his favourite colour chromium yellow. 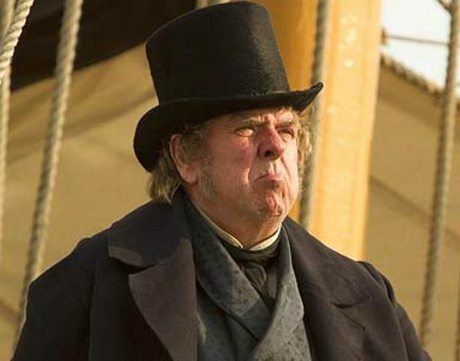 Mr. Turner is not revealed or delivered as any sort of hero by the Director; in fact the whole movie only lays bare his many foibles and inadequacies. He certainly did not have the ability to love in any sort of romantic hazy view that we impose on love today. We are left in no doubt however, that he truly loved his father and, at the end of his life, the widow Mrs Booth. He had lodged with Mr & Mrs Booth for years at Margate. She sold up and she and Mr. Turner moved in together after her husband died. He became known as Mr Booth to the locals of Chelsea, who probably had not an inkling in the world about who he was, except perhaps for his Doctor who travelled from Margate to attend him, as he considered him such a great man. This was another well drawn cameo performance from David Horovitch. 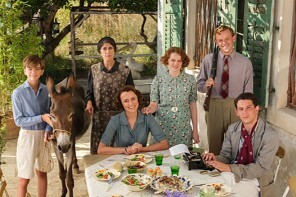 A great deal of the beauty of this movie is delivered by the poignant performances from the excellently chosen cast. 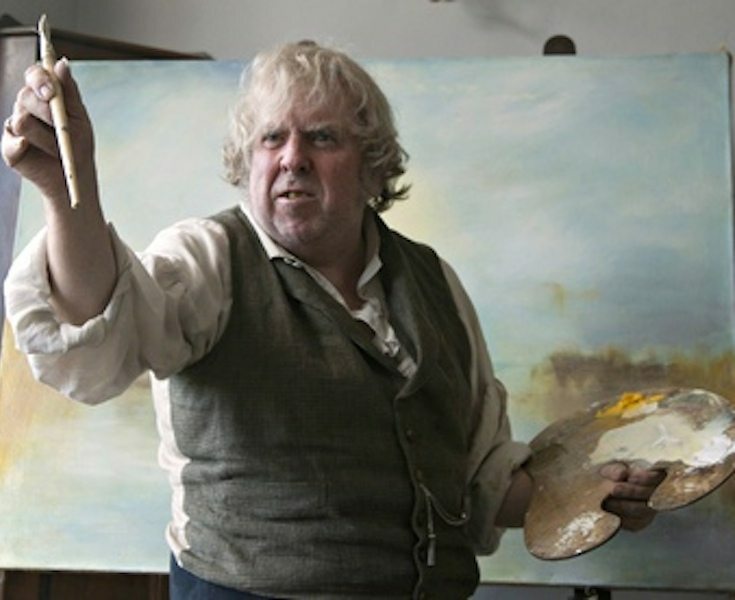 The powerhouse performance of Mr. Spall leaves us reflecting in the light of his aura, the movie faithful to the visual art form medium to the last. Spall’s very effective repertoire of grunting noises particularly provides us with a running commentary that we soon tune into, as he and his father played so perfectly by Paul Jesson, both hack and cough their way to their final demise. 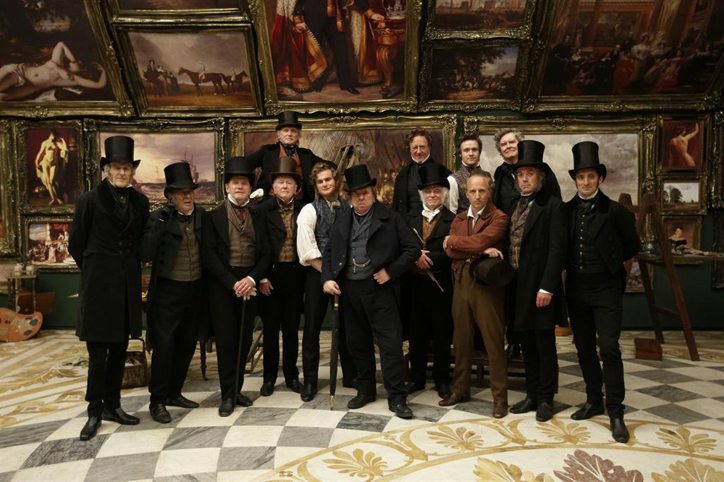 All the great men who appear in the truly superbly filmed scenes set in the Royal Academy would in the end predictably pass him by. They’re awe and his aura were both sinking into the sunset together as they dismantled Mr. Turner in old age from the perfection pedestal they had placed him on. Fame is but only fleeting, as 20th century artist Andy Warhol was always so quick to point out, and Mr. Turner certainly enjoyed more than his ten minutes basking in the sun and a glory of his own making. When it was time for him to go the Pre Raphaelites were storming the London art scene portals, with the elder Mr Ruskin, together with his unbelievably pompous son John, played so absolutely convincingly by Joshua McGuire, and their colleagues already moving on. They were busy finding someone else to wax lyrically about in order to advance their own cause, leaving the grand old man of art alone to his fate. At lecturing and passing on knowledge verbally we discover Turner did not excel. He certainly didn’t have the gift of the gab. There is a painful scene at the Royal Academy where he’s trying deliver a paper, a requirement of all Academicians of his day. Trying is the optimal word, as he shuffles and throws his papers about, with his delivery more of a shambles than he is. This only serves to further highlight the point Turner’s was a genius he was unable to share, although he would dash from canvas to canvas and help his fellow artists, all of whom were in awe of him and his work, telling them what was missing or needed to be expunged. The blessing for the real Turner is that he had the ability through his works of art, to go way beyond the ordinary and the mundane to enter those realms existing beyond genius; eternity. As long as they, and we can encounter Joseph Mallord William Turner’s great art works visually, then we can continue to access his genius; his knowledge, creativity, intellectualism, spirituality, philosophical outlook and Mr. Turner’s true and real beauty first hand. Beauty and innovation were important aspects of La Belle Époque, that beautiful era in Europe c1890 to 1914 when France and its European neighbours were at peace. It was a time of political contrasts. Working class militancy and organized socialist movements built on the ideals of liberty, equality and fraternity….